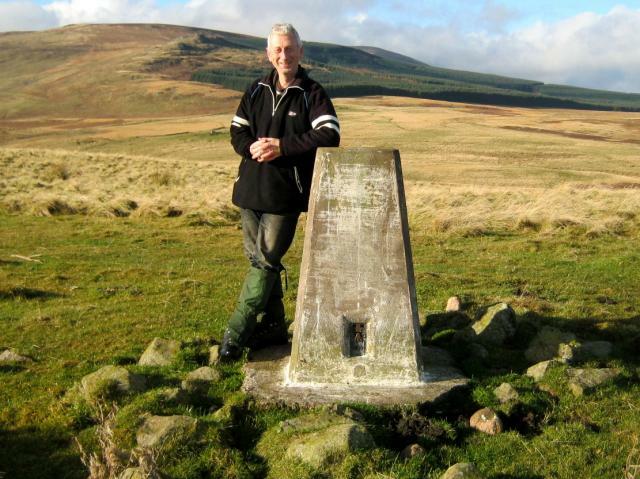 Is ranked joint 1196th with 9 other trigs (more). 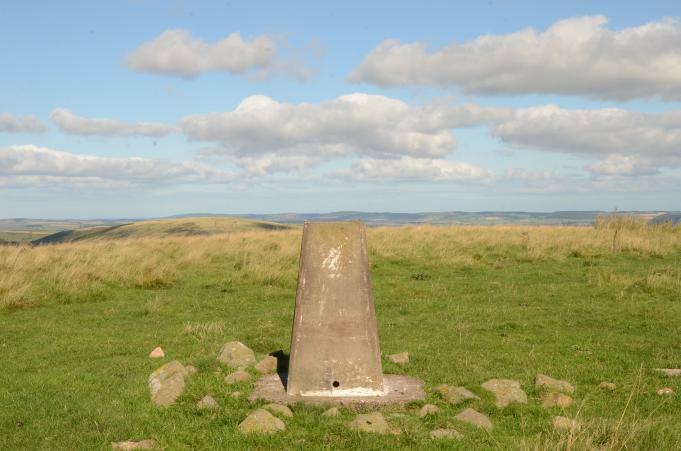 From Heddon Hill. Pillar in decent condition and great views. Parking and route as per Clochandighter. Had to keep out of sight of a herd of bullocks on the slope. Excellent view. 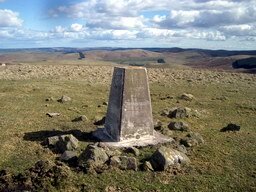 A two and a half hour saunter on a splendid day through the rolling moorland and hills on the north side of the Ingram Valley. Set off heading west along the footpath just north of Reaveley, headed NW towards shepherds hut then SW to the TP itself. 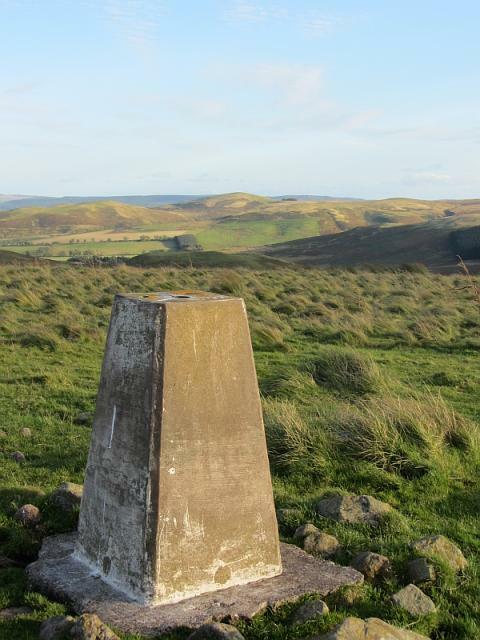 Good views all round, Heddon Hill just to the north, Old Fawdon Hill to the south and numberous other tops inbetween. 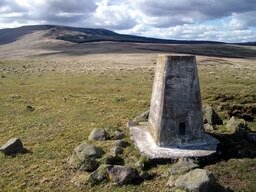 Continued walk W towards Cunyan Crags before striking SE over the moor towards Calder, and south on the minor road back to the start. 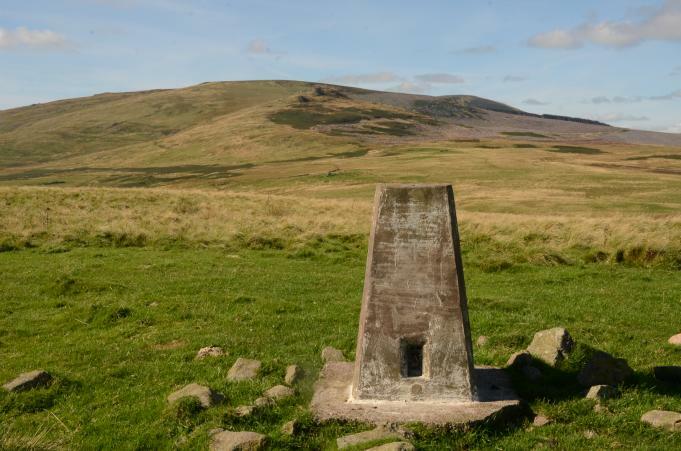 The route could easily be extended to include Heddon Hill. Revisit. For photographs and GPS reading. Approached from southwest. Parked on grassy picnic stop, SE side of road at NT994164. 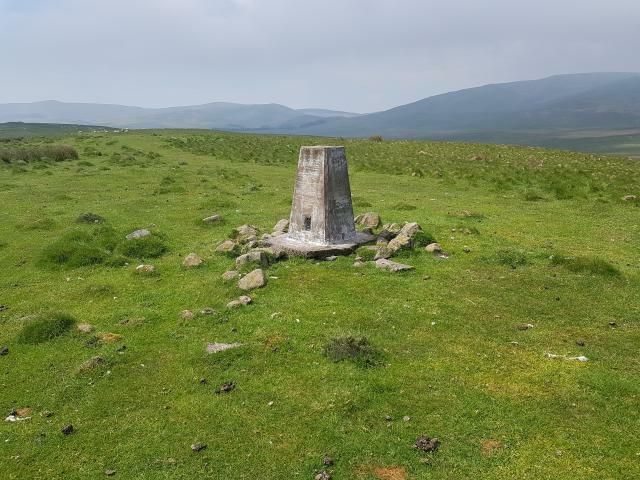 Ascended straight up steep bouldery slope opposite to the top of White Hill then northeast along fairly level plateau to trig. Open grazing top. Pillar in good condition. Spider centre open as it has been for at least fifteen years. Flush bracket faces ESE, ~116�. Vented through SW sight hole. Full 360� panoramic view. Abit of a wet slog across from Heddon Hill. 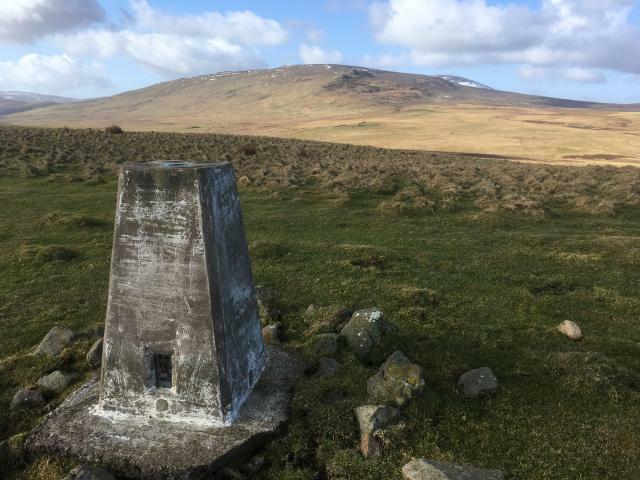 Took the bridle way on the way there and then stuck off acorss the fells, on the way back went north from the trig to the corner of the access land and then followed quad bike tracks to the bridle way. Not such good views from here although still a lovely spot with not alot of habitation around! 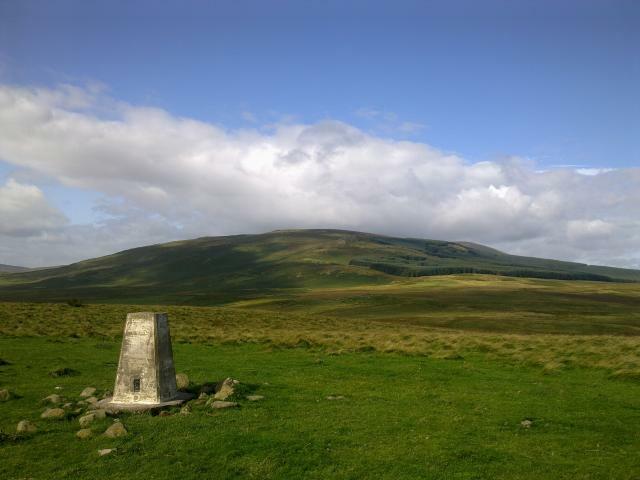 Visited from Breamish Valley on a 16 mile circular walk above the valley. 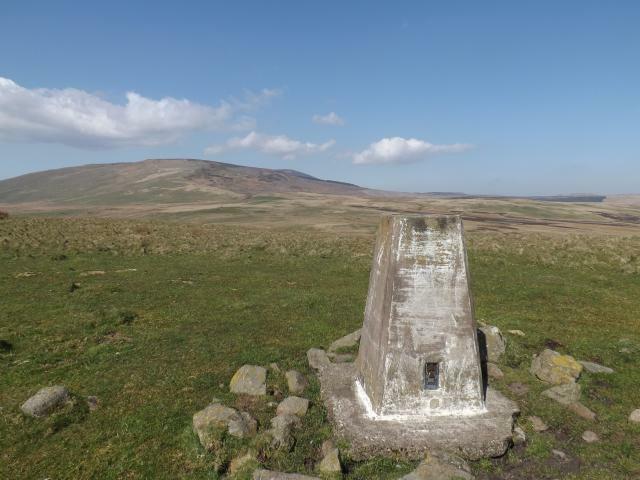 Went on to Rig Cairn, High Cantle and Salters Road from here. 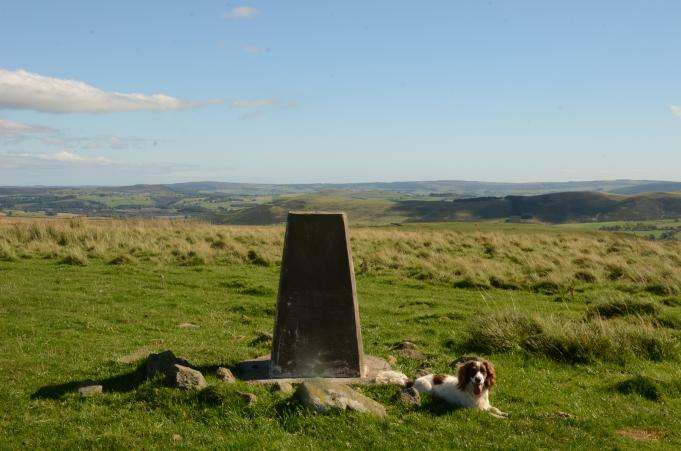 Great trig, superb views to Hedgehope. Very windy today as remains of Hurricane Katia blows through. Straight up from road in ingram valley. First visit. To record FB number. 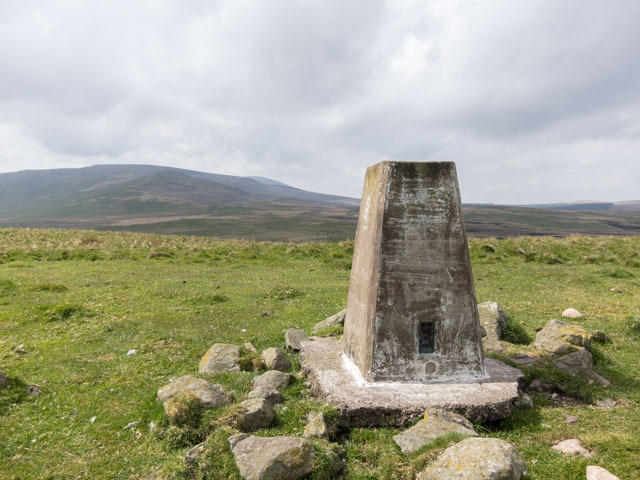 HISTORY: Pillar completed 15th May 1954 costing �16.0s.2d. 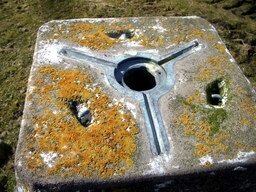 Computed as tertiary triangulation station NT72/T84 in 1957. Levelled for height in 1958. 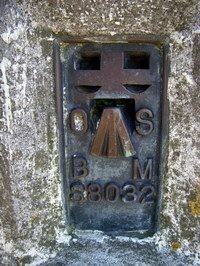 Last maintained by the OS in September 1978. 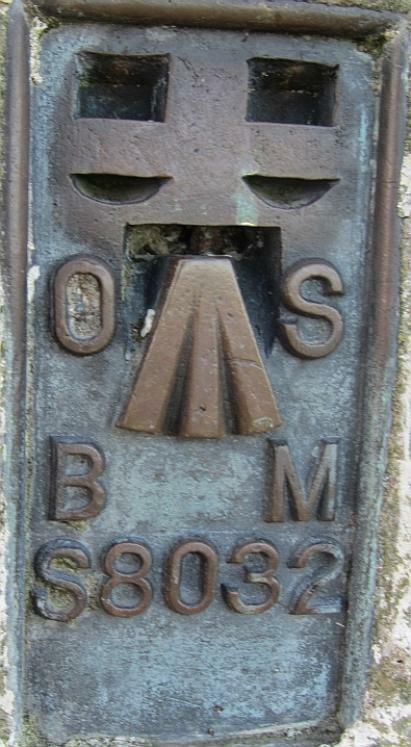 Most easterly pillar station exclusive to Secondary Block NT72, Jedburgh. Spider centre open. Short walk up from riverside picnic spot in Ingram Valley. Was picnicing with Muriel Wild a family friend who was one of the first (possibly the first woman? 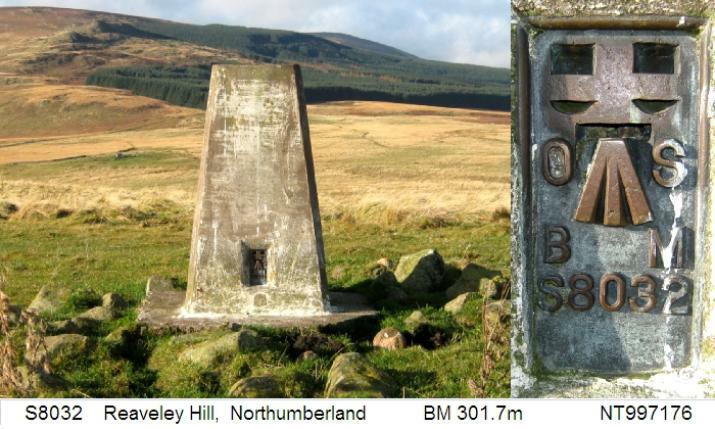 Could someone who gets Strider email me about this) to complete the English and Welsh 2000 foot round. 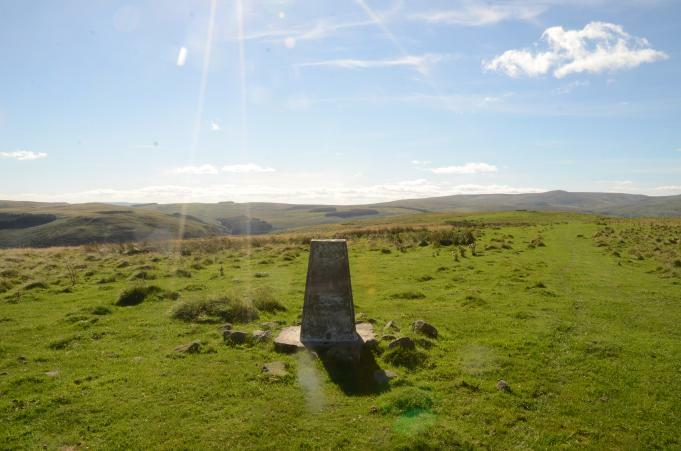 She and her husband Peter also completed the county tops round.